On the open House Day of the Riigikogu, the Parliament of Estonia, nearly 4000 people came to Toompea to visit the Riigikogu, meet the politicians and see the rooms they work in. 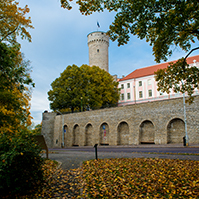 700 visitors climbed the Tall Hermann tower, and over 800 participated in the guided tours of the parliament buildings. There were visitors from Belarus, Brazil, Canada, Croatia, Czechia, Denmark, Finland, France, Germany, Greece, Iceland, India, Ireland, Italy, Japan, Kazakhstan, Latvia, Lithuania, Nigeria, Poland, Russia, South Africa, South Korea, Spain, Sweden, Turkey, Ukraine, the United Kingdom and the United States. 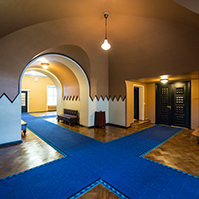 The representative rooms and working rooms of the Riigikogu were open all day. 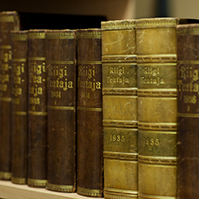 It was possible to meet with the members of the Riigikogu in the rooms of the factions. 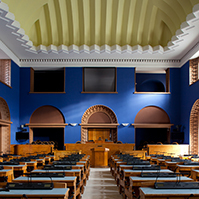 At Question Time, Prime Minister Jüri Ratas, Minister of Culture Indrek Saar and Minister of Finance Sven Sester replied to the questions of the people in the Session Hall. The visitors could hear the stories and songs of the 12th Youth Song and Dance Celebration “Here I’ll Stay”. At the discussion “Here I’ll Stay. Will the Song and Dance Celebration Stay?”, Deputy Chairperson of the Cultural Affairs Committee of the Riigikogu Laine Randjärv and member of the Cultural Affairs Committee Krista Aru, and promoters of folk dance, choir movement and music education Hirvo Surva, Tonio Tamra and Kalev Järvela held a debate. The quiz Estonia and the European Union was won by the team Riigikogu II, consisting of members of the Riigikogu Maris Lauri, Jaak Madison and Marko Šorin, as well as the Adviser/ Head of Secretariat of the Rural Affairs Committee Ülle Särgava from the Chancellery of the Riigikogu. The best school team was the Old Town Educational College. As a part of “Estonia 100” programme, the elections of the Youth Assembly (Noorte Maapäev) were proclaimed at the Riigikogu Open House Day. The young people who are elected will come together in the Session Hall of the Riigikogu on 28 November to adopt a joint declaration. At the proclamation of the elections of the Youth Assembly, Head of the Steering Group of Estonia 100 Toomas Kiho spoke of the background of the event and the context of the 100th anniversary of the Republic of Estonia, President of the Riigikogu Eiki Nestor authorised the convening of the Youth Assembly, and Chairman of the Estonian School Students Councils Union Andreanne Kallas gave an overview of the elections. All day, the Children’s Station of the Estonian Public Broadcasting was open in the Exhibition Hall. For the first time it was possible to visit the play area of the Children’s Republic, which is dedicated to the 100th anniversary of the Republic of Estonia. The visitors could also participate in the Year of Children’s and Youth Culture workshop “Me Too” in the Children’s Room, draw a family sign with the singers and dancers of the Youth Song and Dance Celebration in the lobby, or learn folk dances with the Stage Director of the Youth Dance Celebration Margus Toomla. The Open House Day ended with the Good Mood Concert by the children of Estonian TV Children Music Studio in the White Hall. 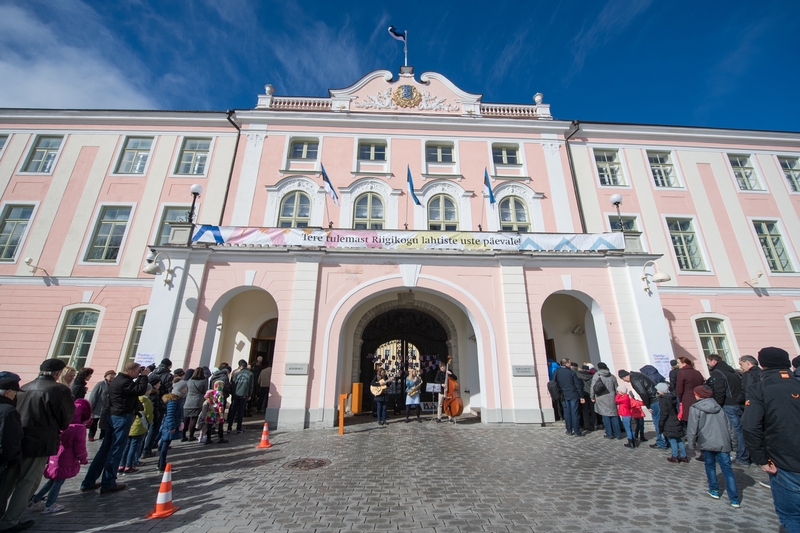 With the Open House Day, the Riigikogu celebrated its 98th anniversary. 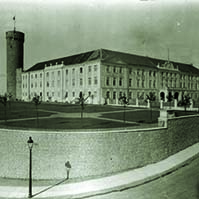 The first representative body elected by the people in independent Estonia – the Constituent Assembly – convened in Tallinn on 23 April 1919. 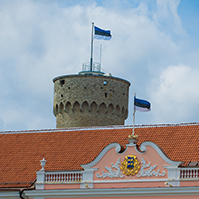 The Riigikogu celebrates that event every year with the Open House Day. The tradition was introduced in 1999, and this was the 19th Open House Day. 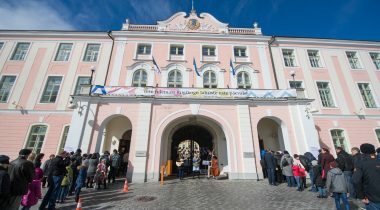 Photos of the birthday of the Riigikogu (uploaded with a delay): https://fotoalbum.riigikogu.ee/v/XIII+Riigikogu/XIII+Riigikogu+sundmused/20042017_001/. Video of the Government Question Time: https://www.youtube.com/watch?v=nHK46CQFdVs.